What is the DVLA ? The Driver and Vehicle Licensing Agency is an executive agency of the Department for Transport. It is responsible for maintaining a database of drivers and vehicles in Great Britain, issuing driving licences, collecting road tax and selling private number plates. What is a full driving licence – qualified drivers ? It allows a person to drive vehicles in a particular group. Group 1 licence holders include those who drive motor cars and motor cycles. Group 2 licence holders are the remaining categories including medium sized and large goods vehicles and all passenger carrying vehicles. Large lorries are category C and buses are category D.
What is a provisional licence – learner drivers ? It allows a person to drive a vehicle whilst supervised by a qualified driver pending them passing a theory and practical test so that they can obtain their full driving licence. A qualified driver is someone who is at least 21 years of age and has held a full driving licence for at least 3 years. The vehicle must also display learner plates. At what age does a full driving licence expire ? A full licence is granted until the holder attains the age of 70 years. After this age the licence is renewable every 3 years and is subject to a medical declaration. A licence may be revoked if a person becomes unfit to drive. The DVLA have specific medical standards that they will apply to the individual case. When do you need to renew your actual driving licence ? If the licence is in the form of a photocard it must be renewed every 10 years. It will be reissued free of charge allowing for the provision of a more recent photograph. A failure to deliver the licence for renewal can lead to it being revoked by the DVLA. The Secretary of Sate for Transport acting through the DVLA has the responsibility to ensure that all licence holders are fit to drive so they are not a risk to themselves or other road users. The DVLA have medical standards that are applicable to both Group 1 and Group 2 licence holders. The medical standards for Group 2 drivers are much higher than those of Group 1 due to the size and weight of the vehicles, as well as the amount of time spent on the road behind the wheel. Prospective – any medical condition which is of a progressive or intermittent nature which may develop into a prescribed or relevant disability in the fullness of time e.g dementia. The driver will normally hold a driving licence subject to medical review every one, two or three years. Through the driver’s doctor notifying the DVLA. 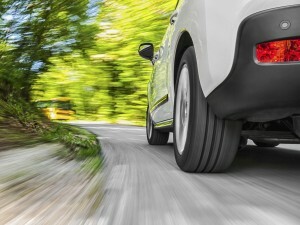 What will the DVLA do when informed about fitness to drive ? They will conduct their own investigation through relevant medical information. If the DVLA determine that the licence holder is a risk to other road users, they will revoke that person’s licence on medical grounds. If your Group 1 or Group 2 licence is revoked on medical grounds then unfortunately you will no longer be in a position to drive. Will you be able to drive while an investigation is pending ? This will depend on the reason for the investigation and when the matter that led to the investigation occurred. In most cases you will not be able to drive. Can you challenge a DVLA decision to revoke your driving licence ? Yes. If a GP or specialist can provide any additional information that shows you are able to meet the required standard. Any appeal to the Magistrates Court should be made within 6 months of the decision. Why do you need a solicitor ? Represent you at the appeal.